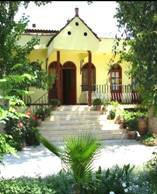 · A hotel / pansiyon with real character set in beautiful gardens in a quiet rural area. · Accommodation set in two one story blocks, one traditionally styled with large basic en-suite rooms, one newer block with modern twins and doubles all with en-suites and air conditioning. There is also one self contained cottage. 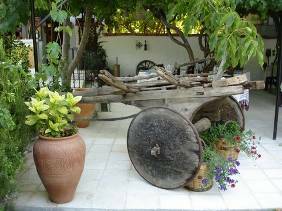 · The communal area is fantastic, a nice organic restaurant and bar, a fabulous pool with shaded and sunny areas and magnificent gardens where you can hide away and read. 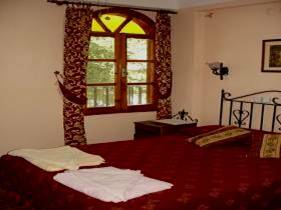 PRICES QUOTED ARE FOR ON A BED & BREAKFAST BASIS PER PERSON PER NIGHT BASED ON 2 SHARING. YAKAMOZ ENCOURAGE SINGLE TRAVELLERS AND WHERE POSSIBLE NO SINGLE SUMMPLEMENTS APPLY IN THEIR PANSIYON ROOMS. IN AUGUST THERE IS A 10 POUND SINGLE SUPPLEMENT PER NIGHT. For years Yakamoz has been considered special, a place of tranquility and an ideal get away from our busy everyday lives. Originally a basic pansiyon popular with backpackers and walking groups, it has since been taken over and is now the oasis Mike and Jan have made it. 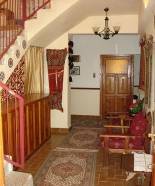 Jan has kept a traditional feel with the original panysion block home to 9 rooms, all with en-suite wet rooms and either twin or double beds. The rooms are individually styled with many antiques, traditional linens, a balcony overlooking the farmlands, mountains and an overhead fan - there are even umbrellas for the early and late seasons! They have recently built a new Annex block towards the back of the property and a self contained cottage with use of all hotel amenities. The new builds are still in keeping with the location, offering larger rooms with air conditioning. Perhaps the main features of Yakamoz are the location, the garden and pool areas. The property is set in farmland in a rural area right at the back of Ovacik. The gardens have been beautifully landscaped with hidden seated areas in the shade, hammocks, a charming water feature and an abundance of fruit trees and vines. The pool is large with areas of sun and shade and sun loungers. Yakamoz offers guests the ideal place for a stress-free vacation. The intimate atmosphere ensures that you will quickly make friends, enjoying pleasant after dinner conversation with like-minded people. Before long, you will find you know everyone by their first names and consider Yakamoz your second home!